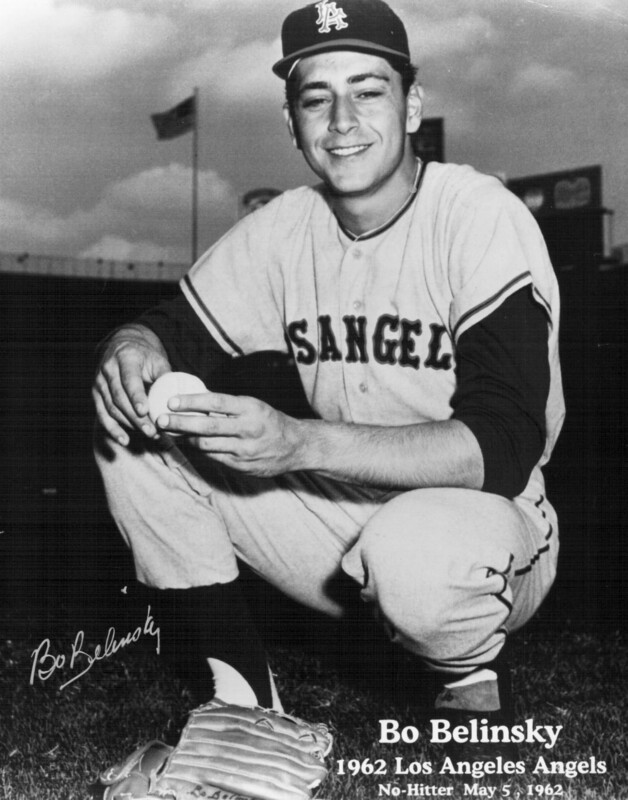 Bo Belinsky, the Los Angeles Angels rookie whose 1962 no-hitter thrust him into the Hollywood spotlight, died 14 years ago today. On Saturday, May 5, 1962, the former Trenton pool shark no-hit the Baltimore Orioles at Dodger Stadium for a 2-0 win. Belinsky quickly became a darling of the tabloids, spending his nights drinking on the town and getting photographed with numerous female stars. Five months after the AAA Las Vegas 51s honored the former major leaguer with a “Bo Belinsky Night,” Belinsky succumbed to a heart attack. Read more about Bo Belinsky in “Chapter 29: Hollywood Hustle” of my upcoming book, Baseball’s No-Hit Wonders: More Than a Century of Pitching’s Greatest Feats.